away " beyond the river Lixus in Mauretania "
with two light boats for exploring the coast. 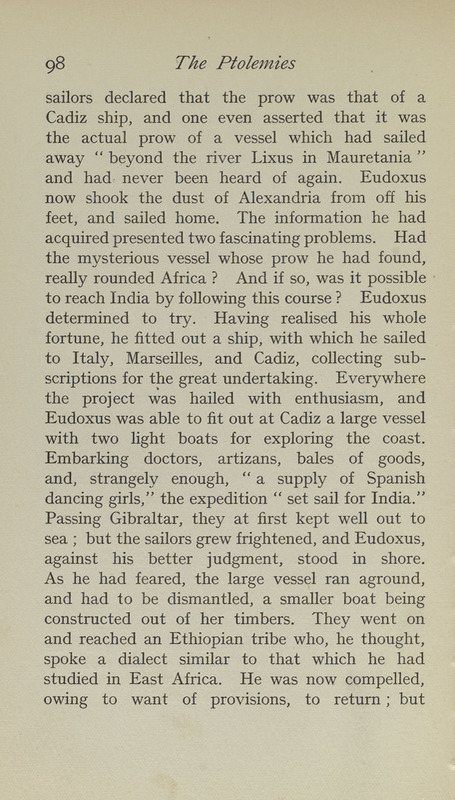 dancing girls," the expedition " set sail for India." against his better judgment, stood in shore.